Got the blues? Estee Edit launched last year as an add on to the Estee Lauder brand with a younger, fresher appeal. The silver and blue packaging reached a younger demographic not to mention their array of innovative new products. If you haven’t already noticed, everything Estee Edit is now on sale on Sephora due to the fact that they have decided the additional brand extension wasn’t necessary. Since they will be out of Sephora by Sepemteber this is your chance to pick up some popular products from the collection. Here are my top favs that I have tested, used and now stocked up on! The name says it all – pore vanishing! This stick primer is a holy grail to blur and fill pores, remove excess oil and shine and prime your skin for makeup application. It has a smooth, almost silicone type feels and glides on easily without feeling heavy. This may have been one of the most talked about items and for good reason. Who doesn’t want to glow? 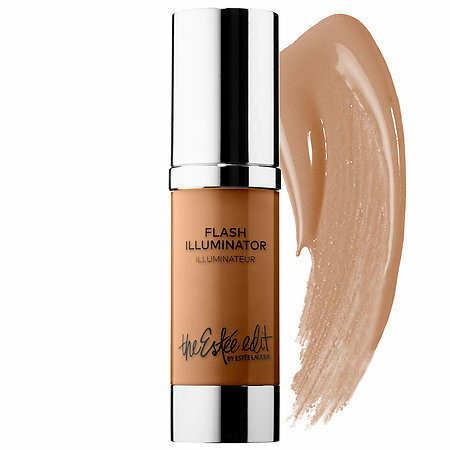 The Flash Illuminator comes in an array of 5 highlight shades to match every skin tone. I use the shade Night Light, which is a relatively darker bronze shade. It gives an amazing golden, bronze glow to your skin. It works well as a liquid highlight on the high points of your face (and body), can be used under your foundation to give an overall dewy look or mixed in your foundation for a more natural look. If you’re feeling like JLO, you can do all three methods, at once. 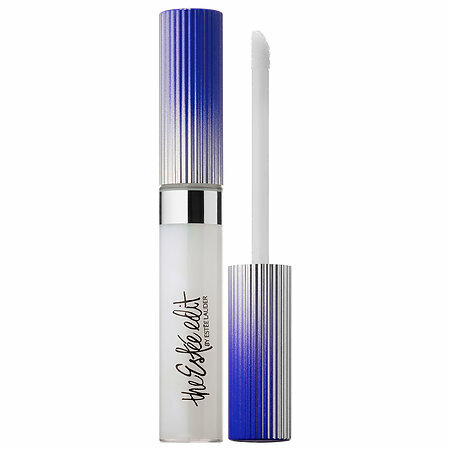 Made up of cool blue micro pearls, this clear gloss works on every skin tone, worn alone or over any other lip product. 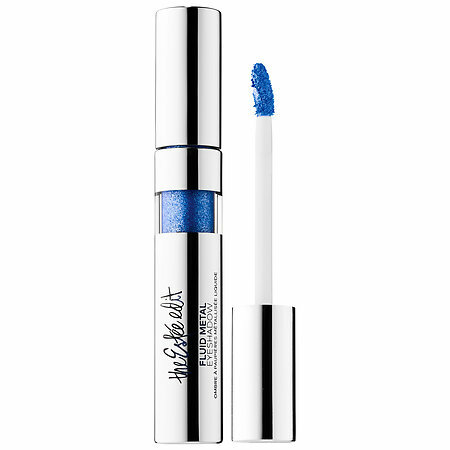 The blue particles in the gloss intensifies the brightness and whiteness of your teeth making it a picture perfect gloss. It is the perfect universal gloss that I reach for everytime I want a glossy finish. Don’t forget to Smile! 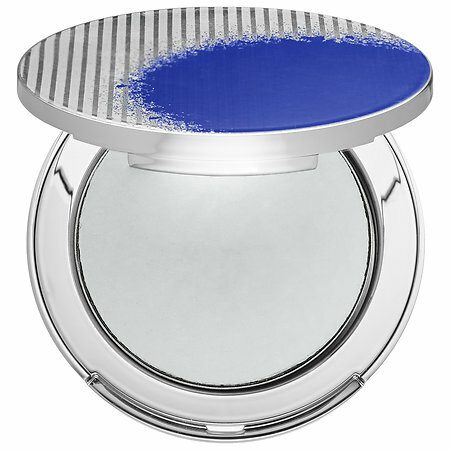 This blue colored finishing powder is definitely a must have. It has a translucent finish allowing it to work for on every skin tone. The blue hue instantly brightens the area used on and slightly blurs and mattifies. It is a great finishing powder that ensures you look picture perfect with or without a flash. Foiled and glitter eyeshadows have been all the rage and more recently we see a surge of liquid/cream eye shadows. 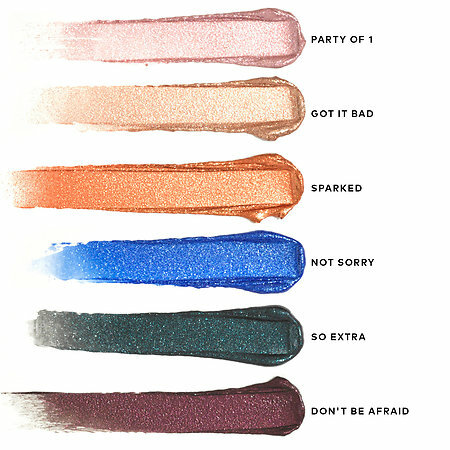 These fluid metal eyeshadows are perfect for every eye look. They are incredibly creamy, pigmented, easy to blend and WOW do they make a statement. The best part is they are so effortless that you don’t need any other product to get a beautiful, bold, sparkly eye look. I suggest you get every color, I know I need to! What are you picking up from Estee Edit before it sells out? I had no idea they weren’t continuing with this line! Better go shopping! 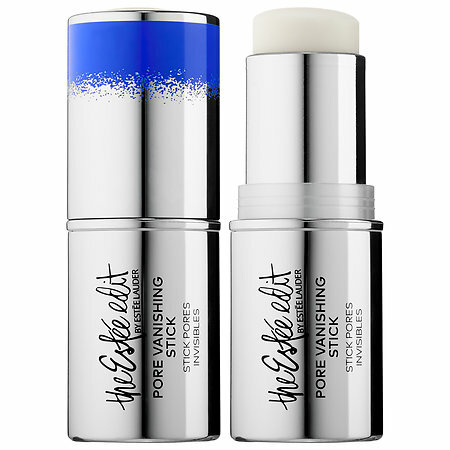 Ahh I definitely want to try the pore vanishing stick before it disappears! I have the primer stick and kind of don’t like it that much. It is just ok. I also have some of the lip stuff and think its ok. I think overall EL could have done better with this concept. I can see why they are getting rid of it. You made some good picks though. I really liked this line so I don’t understand why they are pulling out of Sephora. I have to go pick up a few things ! I guess that means , maybe , they have some sales ! !